We've discontinued this slip ring, check out the store for our other models! 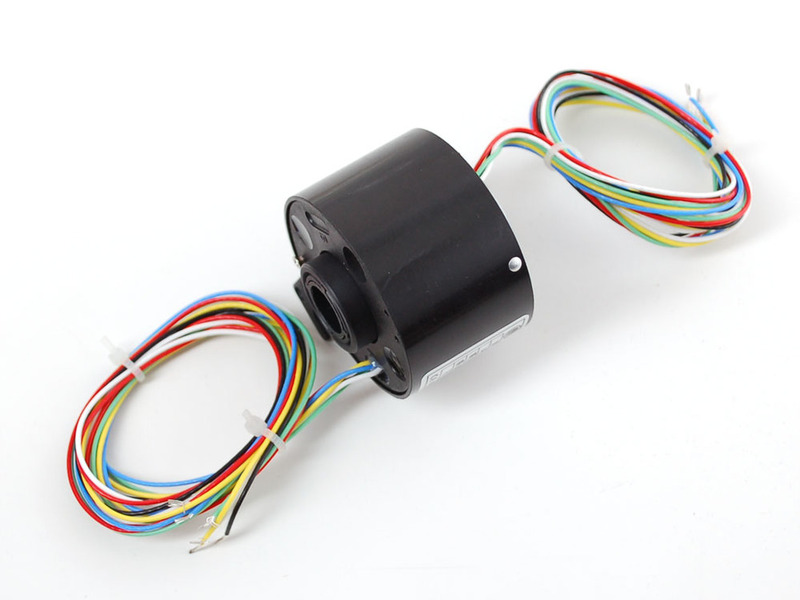 This is a toroidal slip ring - a more expensive type of slip ring. 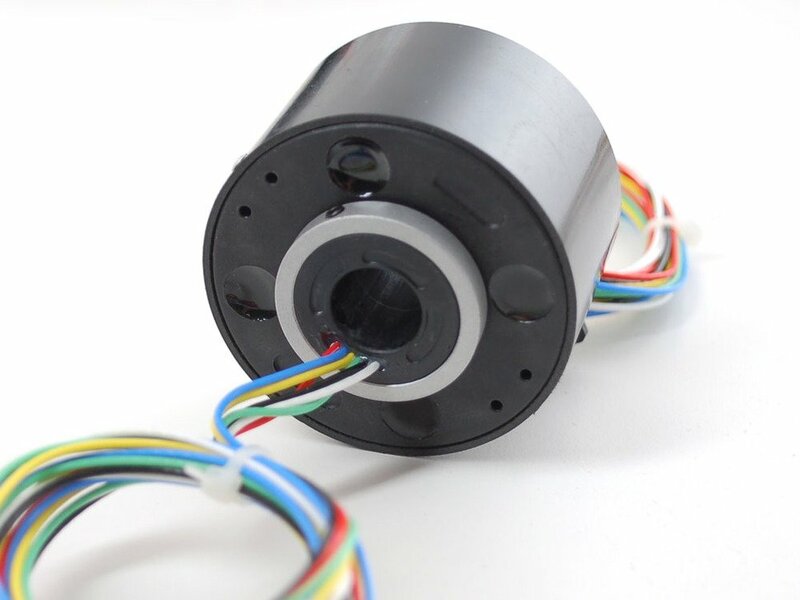 Unlike the other capsule-type 'rings, this one has a through-bore hole in the center with a (just slightly larger than) 1/2" diameter. 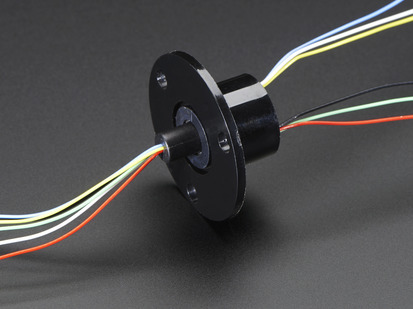 There are two set screws in the aluminum collar of the 'ring, so you can firmly attach it to a rotating shaft. 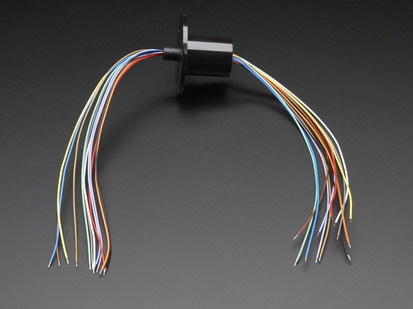 Since these are used more often for industrial equipment, they're more expensive, but they're by far the best way to solve the problem of passing data/power to something that rotates. 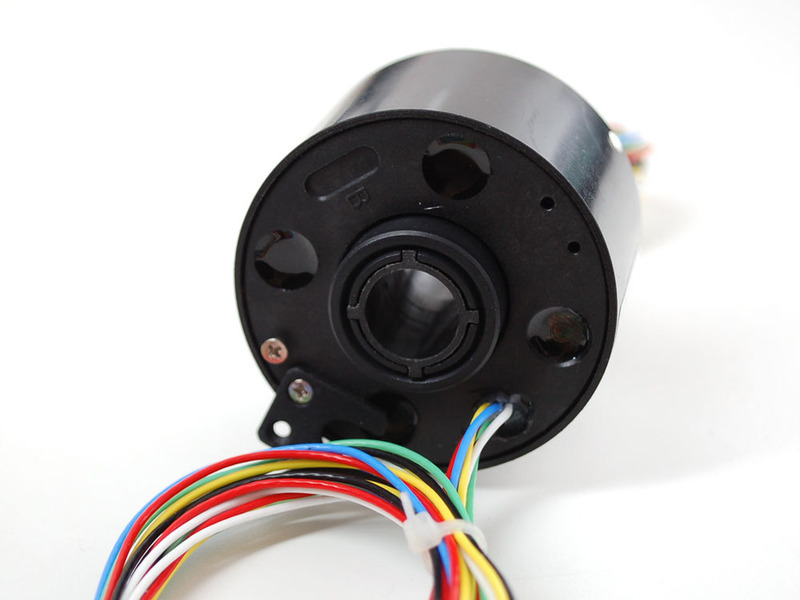 Inside the casing is a gold plated slip ring for 6 wires. 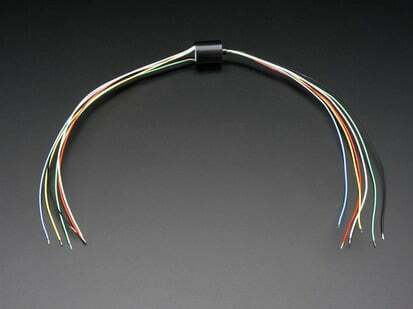 There are six color coded wire sets made of 22 AWG and no matter how you twist the assembly, they will remain in continuity. 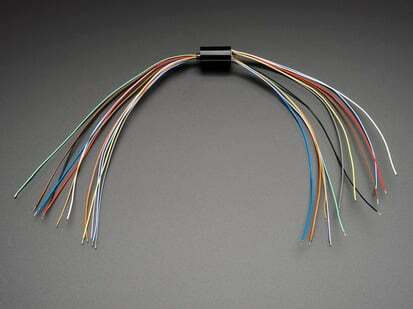 Each of the wire sets can carry up to 5A at up to 380VAC or 240VDC. Rated to rotate up to 500 RPM (but you can probably go faster if you don't mind a reduced life and/or noise).